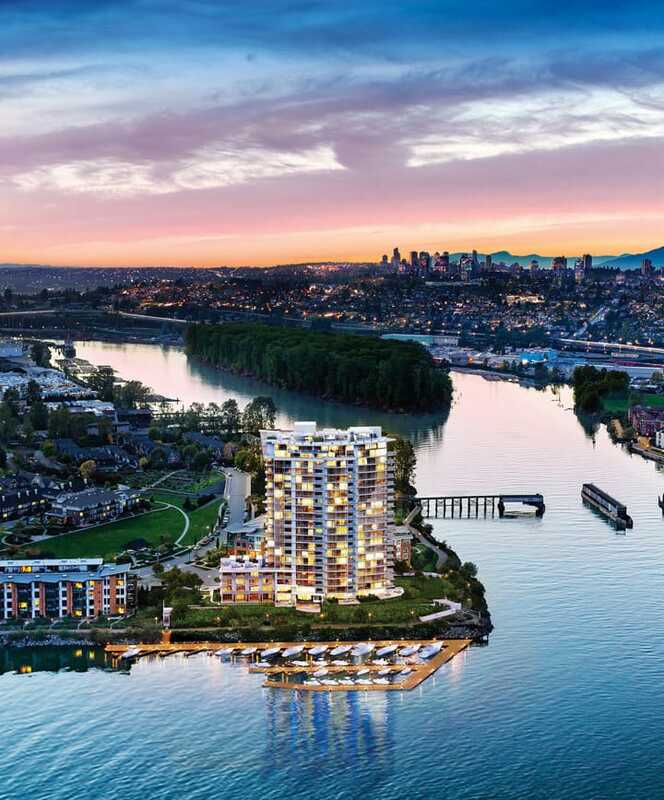 A remarkable collection of resort-style residences on the Fraser River waterfront. Luxurious and large 1-, 2- and 3-bedroom townhome and condominiums are sculpted by design-forward sensibility. 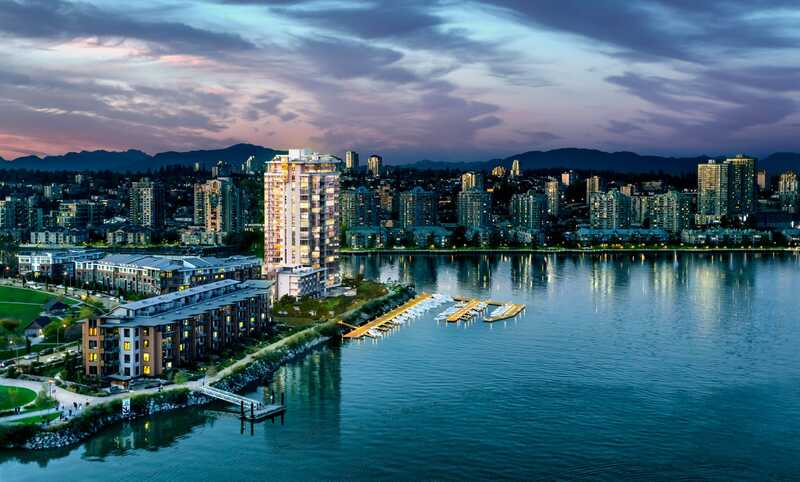 Homes at The Peninsula include high end finishes unlike anything else in New Westminster. With The Peninsula complete and ready to move in, come see for yourself. 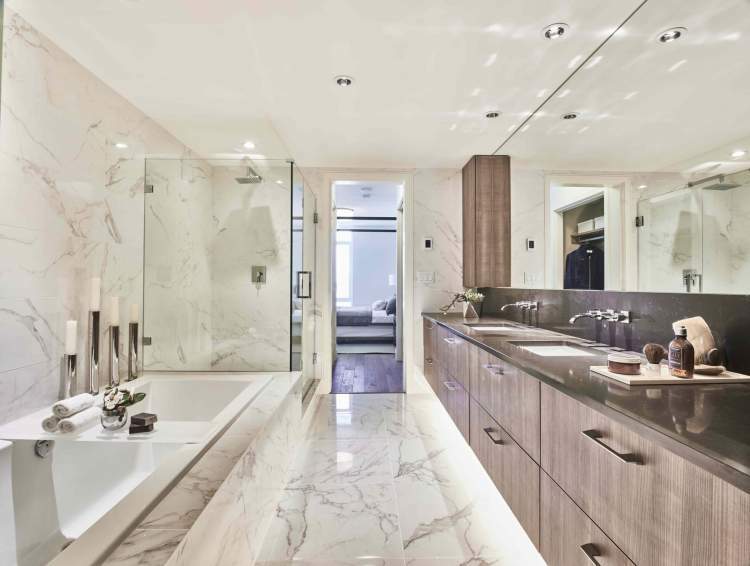 The Peninsula consists of a variety of upscale residences ranging in size from 741 – 2,249 sq ft. For those seeking comfort, 75% of the homes are a spacious 1,200 sq ft or larger, including five penthouses and eight townhomes. To browse available floorplans, visit The Peninsula website. With most homes sold, those with a serious interest to purchase are advised to Contact me today! Residents will enjoy shared use of premium amenities, such as The Getaway guest suite, Body Fitness Studio, Mind Health Spa, Private Screening Room, The Lookout fireplace deck with barbecue area and tub, and Chef’s Table party room. The Panorama Club is a private residents’ lounge with intimate seating, a fireplace, and a pool table. The Peninsula also has its own private marina. Each home comes with one vehicle parking stall. Some homes have in-suite storage. Contact me about availability and pricing of additional parking and storage. $0.35 per sq ft per month. Aragon Properties is a fully-integrated real estate developer with over 20 years experience in building outstanding new homes in BC and Ontario. 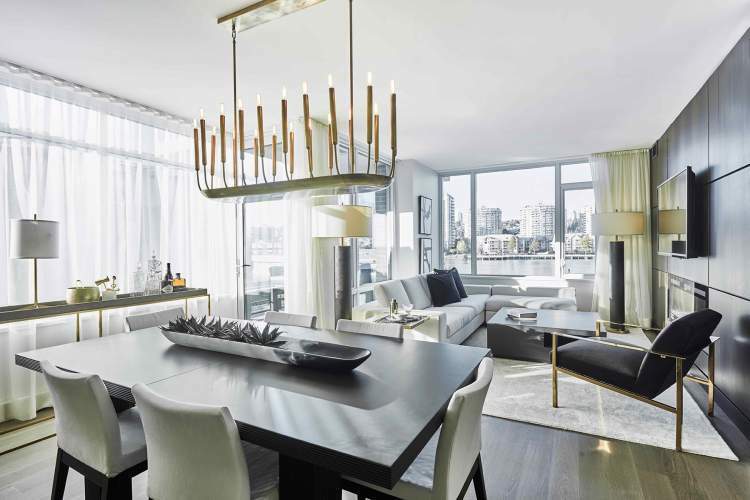 With a rich history of creating memorable developments centered on the principles of quality, innovation, and design, Aragon continues to bring unique condominiums, townhomes, and single-family houses to the dynamic Vancouver and Toronto real estate markets, where affordable luxury is paramount. Ramsay Worden Architects have been active since 1989. They have a wide range of experience, including projects for public institutions, as well as for private developers, new construction, and renovation. The firm has developed a reputation for innovative design both in well-established contexts and in the creation of new communities. Two of their more recent projects that we’ve presented to you are Belpark and Cambria Park. Construction has been completed. Building is almost sold out. Are you interested in learning more about other homes in Queensborough, Sapperton, or Downtown? Check out these great New West Presales!